Download The Official NY NOW® Winter Market 2019 Mobile App! 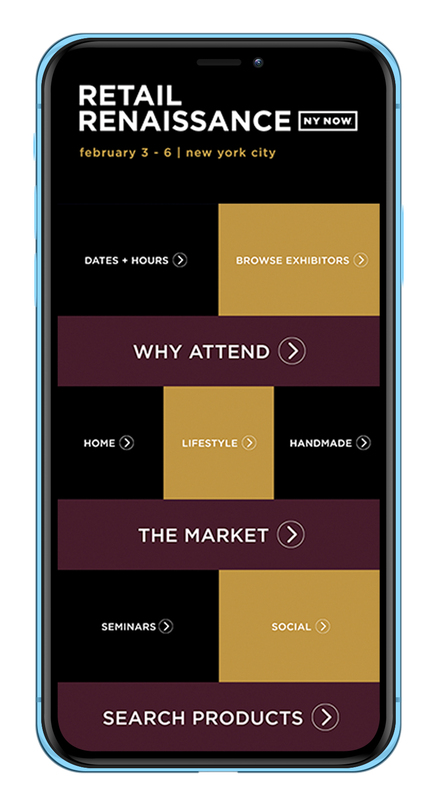 From your mobile device, click the appropriate button below to access the official mobile app and access search and planning tools for the NY NOW® Winter Market. View Schedule to browse sessions you would like to attend. Find all of your favorite exhibitors listed in your My Market Planner. Browse Products to view full color pictures of the latest products & innovations from exhibitors. Tune in to special events and promotions being showcased by exhibitors. Read the latest news and Press Releases from exhibiting companies. Have a question about the Mobile App?